Opal is the official birthstone for the month of October. Revered as a symbol of hope, fidelity, and purity, opal was dubbed the Queen of Gems by the ancient Romans because it encompassed the colors of all other gems. 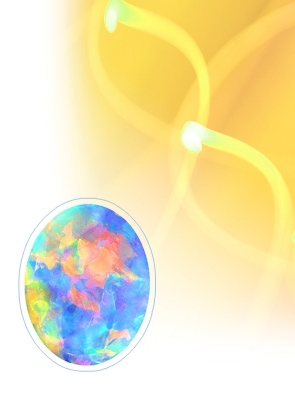 Opal is prized for its unique play of color, the ability to diffract light into flashes of rainbow color. Opal should be treated with some care. Opal is softer than many other gems and should be stored carefully to avoid being scratched by other jewelry. It should also be protected from blows, as exposed corners can chip. Opal should not be exposed to heat or acid.